Using modular architecture and merging multiple test instruments into one solution with complementing software for test and measurement (T&M) seems to be the trend today. Traditionally, a combination of fixed hardware with an array of resources is employed for testing satellites, and analysing and measuring their signals. But T&M vendors are manufacturing integrated test solutions making it easy for engineers working on satellite communication to upgrade with ease in future. From satellite signal monitoring to signal generation and analysis, there are many equipment from multiple T&M players for enabling establishment of mission-critical satellite systems. In this article, we throw light on some of the latest test equipment for satellite communication and their new capabilities. In today’s world, technology is progressively advancing and data is correspondingly getting complex. Specifically for satellite systems, spot-beam technology makes data more complex as the same frequency is used to transmit various data signals to diverse geographical locations. One prominent application of spot-beams is in direct broadcast satellite systems used for delivering content via satellites. Satellite systems must transmit streams of data to and from ground stations via satellite bands, which could comprise various carriers with differing symbol rates and modulation formats. Therefore monitoring of multi-frequency satellite data becomes an extensive measurement challenge. The advent of new high-throughput satellites also brings further measurement challenges as these integrate multiple channels onto a single transponder, which, in turn, results in monitoring of wider bandwidth signals. To address the challenges and effectively test and analyse satellite signals, Keysight Technologies recently introduced a satellite signal-monitoring reference solution, which primarily provides components of a satellite ground station monitoring system. A satellite ground station monitoring system essentially makes sure satellite spectrum is utilised in an optimal way. In most of the monitoring configurations (sequential scanning and parallel acquisition are two common configurations), a dedicated test set is assigned to a particular frequency or band. For validating satellite-signal integrity, engineers can monitor huge blocks of spectrum and conduct digital-modulation analysis with the help of this solution. PCI eXtensions for Instrumentation (PXI) is one of the top standards chosen by military and aerospace for high-reliability applications. 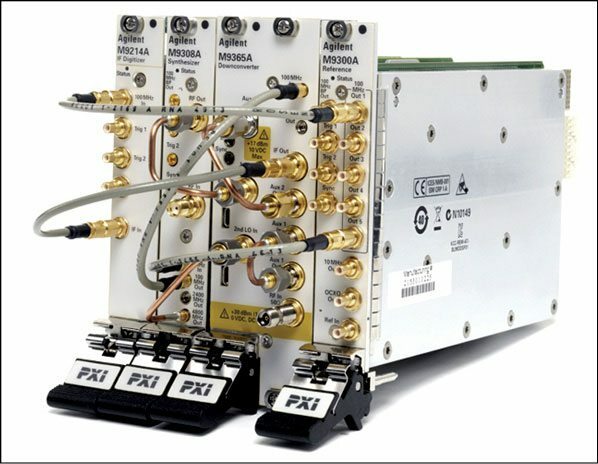 Based on PXI, this hardware and software solution gives engineers the flexibility to upgrade hardware configurations and use the system for specific signal-monitoring applications such as cross-band timing measurement, carrier power monitoring, logging of measurement results and in-depth modulation analysis for deterministic signals. PXIe based vector signal analysers (VSAs), namely, M9391A or M9393A, and Keysight’s 89600 VSA software, which provide digital demodulation and spectrum-analysis capabilities, constitute the satellite-monitoring reference solution. Modular architecture based hardware provides engineers the scalability to meet a variety of applications and upgrade as needs change in the future. Conventionally, multiple analysers are required to monitor several bands in the sequential scanning satellite signal-monitoring configuration. But with M9393 PXIe VSA, diverse bands can be monitored at once. 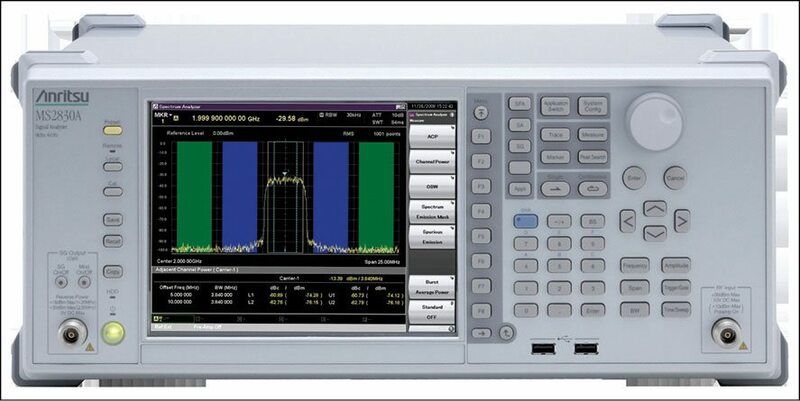 It also allows for quick measurements with multi-band scanning and display refresh rates exceeding 280GHz per second. Users can customise the signal monitoring solution by utilising the measurement setup files as well as test code logging and 89600 VSA software automation layer examples, thereby allowing consolidation in the test environment. With 89600 VSA software, engineers can evaluate modulation, time and complex signal spectrum characteristics. They can also implement spectrum scanning and zoom in on signals using digital vector analysis as wide as 160MHz. A network-carrier monitoring system is used by satellite operators and government agencies for standard as well as tactical applications for limitless monitoring capabilities. Such systems help protect mission-critical satellite bandwidth and assist in monitoring spectrum and data from extensive remote sites. With Anritsu making their spectrum/signal analyser MS2830A compatible with SAT Corp.’s Monics (a satellite carrier monitoring system software), interference detection and automated monitoring is made easier to achieve. In addition to time-domain measurements and signal-modulation analysis, engineers can also perform spectrum radio frequency (RF) measurements such as centre frequency, carrier-to-noise ratio (C/N), bandwidth and equivalent isotropically-radiated power (EIRP), to name a few. With the installation of a driver, MS2830A spectrum/signal analyser can be integrated into the Monics enterprise-networked carrier-monitoring system to provide real-time data for uplink and downlink of satellite communication. 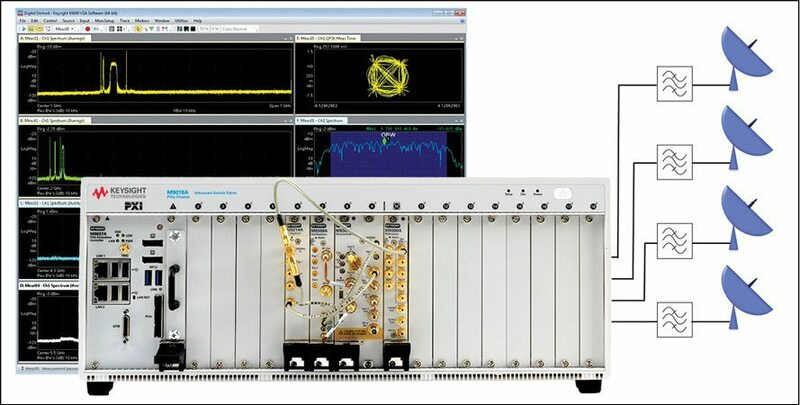 Based on stored reference traces and familiar carrier plans, interference too can be detected using this analyser.